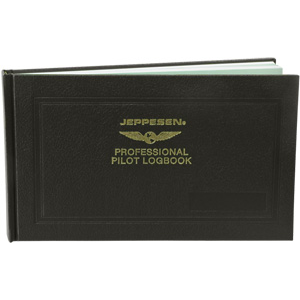 * With superb craftsmanship, pages that hold up to 10 years of data, it's no wonder why this logbook has become a tried-and-true favorite of aviation professionals. * Its design matches that of the Airway Manual binders, and it includes simplified pilot and aircraft annual summaries. This tried-and-true favorite of aviation professionals can hold up to 10 years of data. Measures 6 3/4" x 11 1/4".